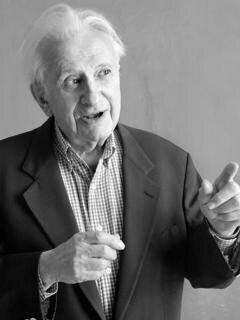 Studs Terkel (1912–2008) was an award-winning author and radio broadcaster. He is the author of Race: How Blacks and Whites Think and Feel About the American Obsession; Division Street: America; Coming of Age: Growing Up in the Twentieth Century; Talking to Myself: A Memoir of My Times; “The Good War”: An Oral History of World War II; Working: People Talk About What They Do All Day and How They Feel About What They Do; The Studs Terkel Reader: My American Century; American Dreams: Lost and Found; The Studs Terkel Interviews: Film and Theater; Hard Times: An Oral History of the Great Depression; Will the Circle Be Unbroken? : Reflections on Death, Rebirth, and Hunger for a Faith; Giants of Jazz; Hope Dies Last: Keeping the Faith in Troubled Times; And They All Sang: Adventures of an Eclectic Disc Jockey; Touch and Go: A Memoir; P.S. : Further Thoughts from a Lifetime of Listening; and Studs Terkel’s Chicago, all published by The New Press. He was a member of the American Academy of Arts and Letters and a recipient of a Presidential National Humanities Medal, the National Book Foundation Medal for Distinguished Contribution to American Letters, a George Polk Career Award, and the National Book Critics Circle 2003 Ivan Sandrof Lifetime Achievement Award. Mention of the book in review of "Working: A Musical"